I don’t feel like I really need to post a recipe for nachos. I mean, they’re pretty easy, right? Dere you go. 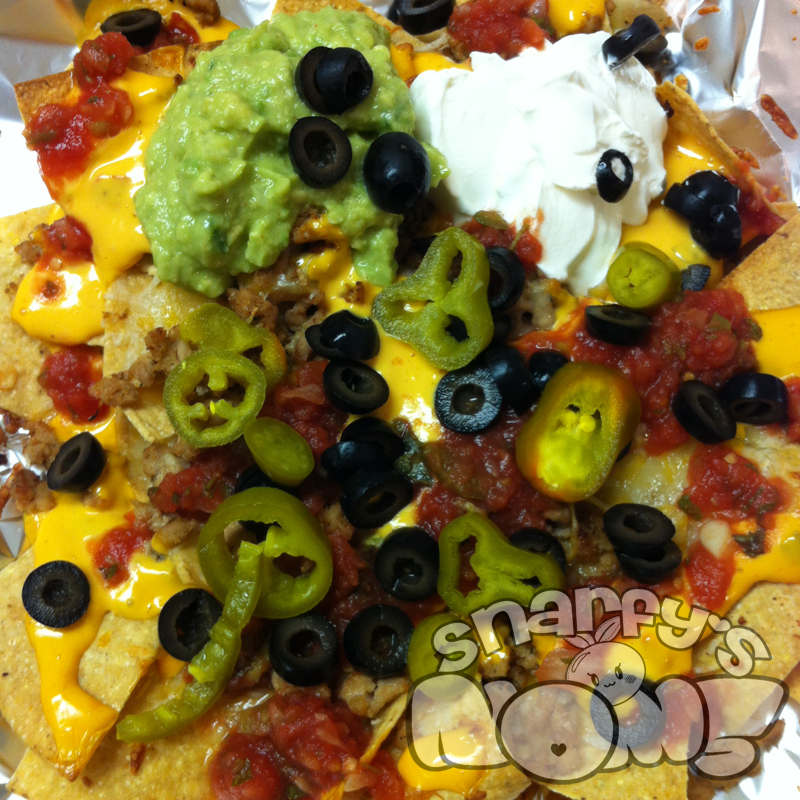 UPDATE: Apparently I *do* need to post a recipe for nachos and BAM! there it is. Nacho meat: Chop that onion and get it in a pan with some oil of your choice. Start sautéing those onions and add that ground turkey. Season that up with salt, pepper, and cayenne to taste. Once it’s completely cooked, set it aside. Nacho assembly: Pre-heat that oven so it’s hot enough to melt some cheese. I default to 350 deg F ’cause that’s what my oven defaults to. Put a piece of foil on a baking sheet for easy clean-up. Put an appropriate amount of tortilla chips down on that foil. Top that with some shredded cheese and pop that in the oven to start melting that cheese. WATCH YOUR STUFF – DO NOT WALK AWAY. Pull the baking sheet and add some meat, more cheese if you like, and some salsa con queso. Pop it back in the oven to heat everything through. Top with your toppings of choice: salsa, olives, sour cream, guacamole, and jalapeños.